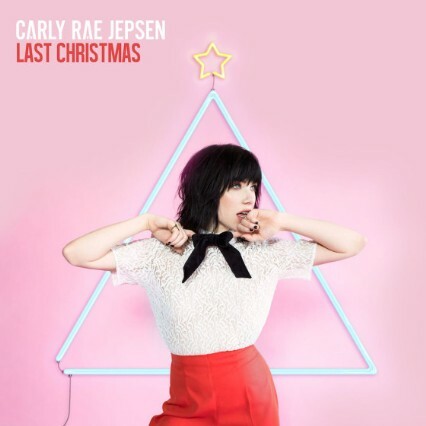 We all know that the pop princess Carly Rae Jepsen can create a killer bubblegum-pop song, but now the singer is getting into the holiday spirit! Her cover of Wham!’s classic 1985 jingle “Last Christmas” was just released, and it will warm your heart better than a mug of hot chocolate on a cold winter day. The charming cover is quintessential Carly, as it features her sweet vocals, delicate synth, and a velvety saxophone (not what you’d expect but hey, it works!). The horns add a touch of soul and groove to the singer’s rendition. Jepsen’s studio album E·MO·TION was released on August 21 through Schoolboy Records/Interscope and on September 25 in the UK. It features hits such as “Run Away With Me,” “Your Type,” “I Really Like You,” and the ’80s-vibe title track. Carly is currently busy in the studio working on new music (we can’t wait), ans she was recently seen recording a special song in NYC. Get out her Wham! cover below and let us know what you think! Next ArticleColdplay Announce 'A Head Full Of Dreams' Tour: See the Dates!